A ryokan is a traditional Japanese inn. They’re typically floored with tatami mats and equipped with sliding doors. They have rollout futons rather than beds. A high end ryokan would be made exclusively of organic materials such as wood, grass, bamboo and stone. Rooms would come with private gardens and bathtubs filled with water from hot springs. Guests would be allocated a maid who would make your beds and deliver your Japanese-style meals to your rooms. You are not expected to do anything other than to relax in your yukata (bathrobe). 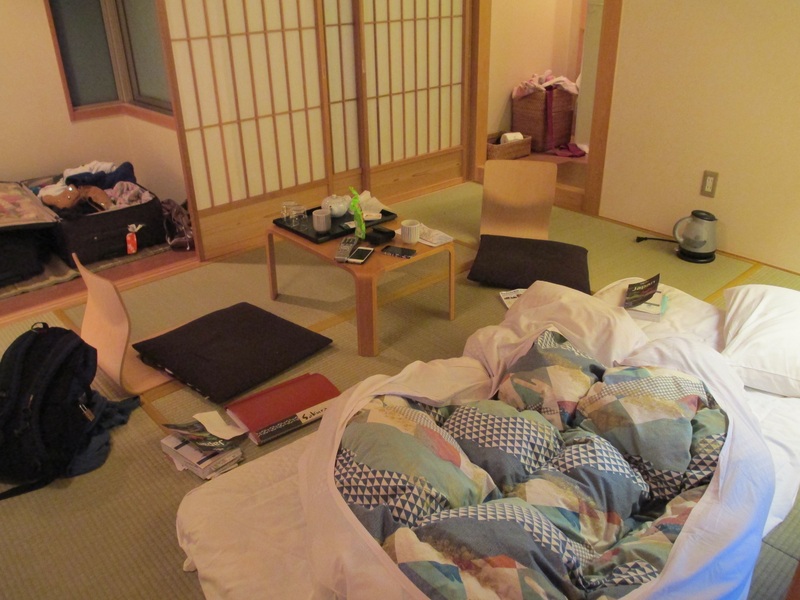 A night at a first class ryokan could set you back around $500 AUD a night. For the middle traveller, there are more affordable ryokans over all Japan offering comparable levels of comfort and service but are not strictly ryokan but more like a hotel with ryokan features. Kyoto is ‘old Japan’ and offers the most variety. 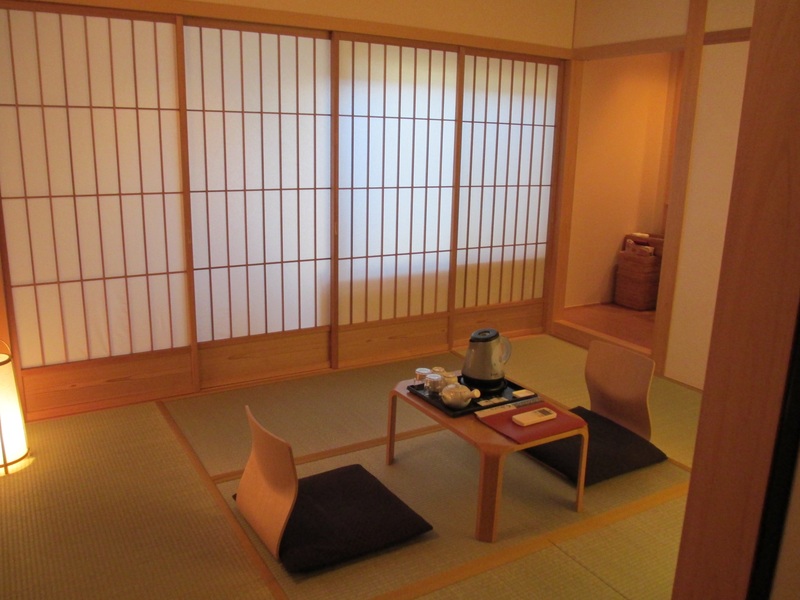 I stayed at the Kyomachiya Ryokan Sakura which is about a 20 minute walk from Kyoto station. The rooms are simple. You leave your shoes at the door. The futon beds are in the cupboards and you make these yourselves at bed time. The private bathroom is small but is clean and has everything you need. Meals are not included but Japanese or Western style breakfasts are available for around $8 AUD per meal. I stayed two nights more for novelty. The futon is only comfortable enough for short stays, the room is clean and there is no curfew. Twin rooms are around ¥11500 ($113 AUD) per room per night. Previous Previous post: Is a JR pass worth it?